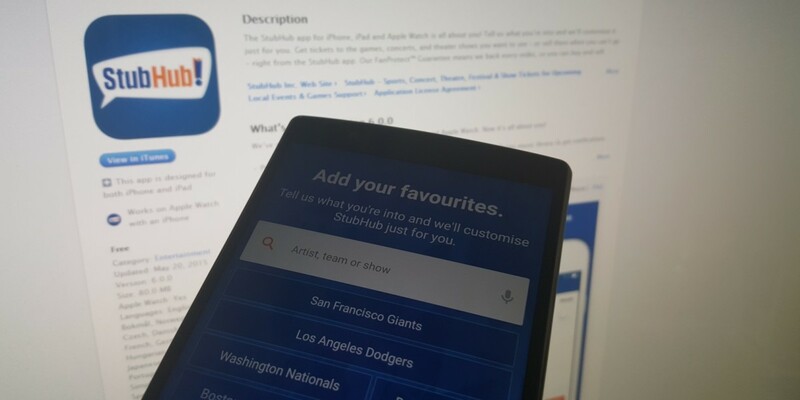 StubHub announced a raft of mobile and tablet updates today that bring new features to the ticketing platform and signal a move towards a more deeply integrated event-management service for users. The new features include a personalized algorithm that will suggest activities based on your preferences, location and taste in music (for iOS users only, as it’s based on your iTunes library), and a revised UI that puts more emphasis on search and navigation. “In today’s on-demand environment, consumers don’t want to spend a lot of time researching what they’re going to do this weekend. Instead, they expect to receive timely and personalized information without having to search for it, and the new StubHub mobile experience provides just that,” StubHub’s Head of Mobile Parag Vaish says. In attempting to broaden its remit, StubHub has also forged new partnerships with ESPN to introduce sport content like scores, team stats and stories. There’s also better Yelp and an (all-new) Foursquare integration to help find venues around you and read reviews. On the ticketing side of things, the company says it has made it easier to scan a barcode for access to an event (via your phone or smartwatch) and that Android users now have the option of paying via PayPal or Braintree. StubHub’s push to become an “end-to-end experience for fans” who want to plan their free time” expressed by StubHub is a bold move that will put the company up against a wider range of competitors, such as Eventbrite, and possibly even ‘going out’ apps like YPlan. The new features are live now for users in the US, Canada and the UK.